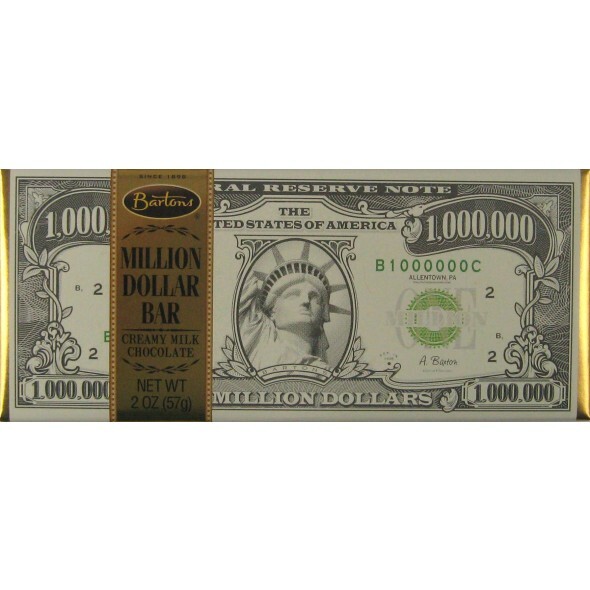 Bartons million dollar chocolate bar. Creamy milk chocolate makes you feel like a million dollars! Ingredients: Milk Chocolate (sugar, milk, chocolate, cocoa butter, soya lecithin-an emulsifier, vanilla) Allergen Information: manufactured in a facility that processes peanuts/nuts, wheat, milk and egg products. may contain traces of milk, egg, wheat and or Nuts including Peanuts.